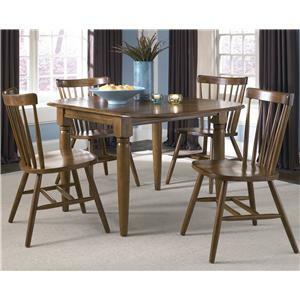 Gather around this 5-piece rectangular table and chair set and enjoy a meal with loved ones. 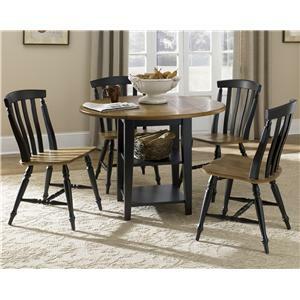 This set is constructed of pine veneers and is then heavily distressed, this collection boasts a unique designer look to transform your living space. 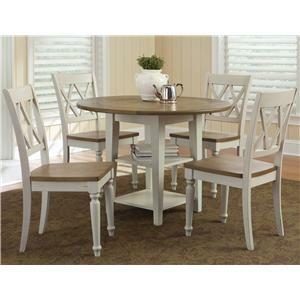 Mix and match this set with the multiple chair styles and colors. 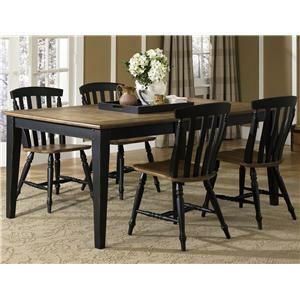 The Vintage Dining Series 5-Piece Rectangular Leg Table and X-Back Chair Set by Liberty Furniture at Dinette Depot in the Brookfield, Danbury, Newington, Hartford, Connecticut area. Product availability may vary. Contact us for the most current availability on this product.